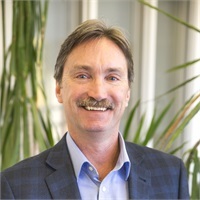 Michael joined the financial services industry with the John Hancock company in 1987. Within a couple years he realized that he could not serve his clients well by limiting their choices available to only the solutions that John Hancock could provide. He left John Hancock and joined the independent financial advisor ranks as a financial advisor at the firm of Integrated Financial Services Inc., a fee-based financial advisory firm. He joined Cetera Advisors LLC in 1993 and in 1995, he formed his own firm, Private Asset Advisory Group, an independently managed, fee-based advisory and financial planning firm, and began serving his clients needs in a direct and personal way that he has enjoyed ever since. He earned the Accredited Wealth Management Advisor (AWMA) and Accredited Asset Management Specialist (AAMS) designations from the College for Financial Planning, Denver, CO. He holds a Series 7, 31, 63, 66 as a Registered Representative and Investment Advisor Representative with Cetera Advisors LLC, and he earned a Bachelor of Science at Loras College, Dubuque, IA.